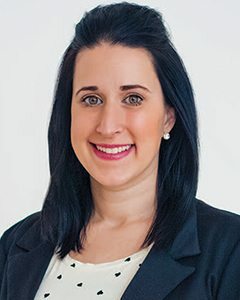 Jess Loseke joined Talent Plus ® in 2013 and currently serves as the Director of Management Consulting. As a leader in the field of learning and development, talent discovery and training, Loseke and her team utilize strengths-based solutions rooted in positive psychology to help people achieve greater happiness, significance and impact in both their professional and personal lives. Loseke is passionate about helping people actualize their full potential to be the very best version of themselves. As a member of Talent Plus’ People PlusSM practice, Loseke partners with individuals and organizations to advance leadership and managerial talent by implementing personal, team and organizational growth strategies. By allowing people to share their story, Loseke creates memorable coaching experiences that aid leaders in achieving their goals by leveraging innate areas of strength. Examples of these solutions include the Positive 360SM, change management, succession planning, executive coaching and building talent-based teams. Since joining Talent Plus, Loseke has served as a client relationship manager, management consultant, leadership consultant and director of management consulting. Prior to joining the Talent Plus team, she worked for Aerotek as an account recruiting manager with experience in both technical and non-technical recruiting. The Albaugh Law Firm in St. Augustine, Florida was home to her experience as a paralegal with a focus in criminal and family law. Loseke holds a Bachelor of Science in management of human resources from Bellevue University and a Masters of Business Administration from Nebraska Wesleyan University. Loseke was born and raised in Lincoln, Nebraska where she currently resides. In her free time, she enjoys spending time with her husband, Ben, and their son, Theo, as well as with their friends and family. Reading, home decorating/renovating, traveling and Nebraska wines are favorite interests as well.